This has been our mantra whenever we're bound for something big and challenging. And to be honest, those three words really work for me. Now, Toby's Sports used these encouraging words as part of their national campaign to promote sports and an active lifestyle. "We Got This" highlights an individual's journey to achieve success in whatever sport or fitness activity he takes on. They released a compelling video that examines the mental and physical hardships - from aching, calloused body to a state of frustration and self-doubt - upon which every success story is written. I'm sure you can relate to the scenes, too! “When you take on a new challenge or set a new goal for yourself in the realm of sports and fitness, you undergo several hurdles that make you want to give up. #WeGotThis is our rally cry to keep them going; to let them know that as the leader in the sports industry, Toby’s Sports is not just here to provide them with the right gear, but to also give them the support they need to succeed. Simply put, we have their backs every step of the way,” said Toby Claudio, President of Quorum International Inc., the parent company of Toby’s Sports. 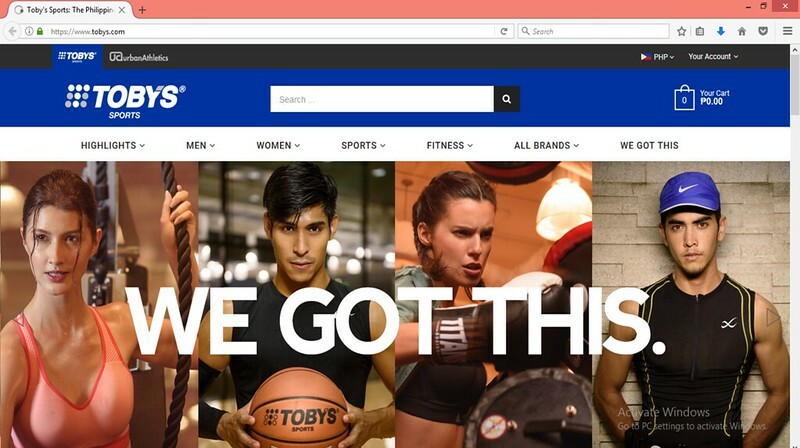 Aside from "We Got This", Toby's Sports has also officially launched its e-commerce site, where customers can have the best shopping experience from the Filipinos' favorite sports retailer, even beyond mall hours! :) At www.tobys.com, we can browse through product information and photos, and shop unique sizes without having to go from store to store. The best part? If you need to return products, you may do so via your nearest Toby's Sports store or LBC branch. In line with the new campaign, Toby's Sports' online store will be giving away limited edition #WeGotThis statement shirts to its first 100 customers today. Hurry and click this before stocks run out! Quorum Group of Companies (QGC) has been at the forefront of the Philippine sports industry since its establishment in 1978. Over the course of 39 years, QGC has expanded its interests into specialty retail and distribution. 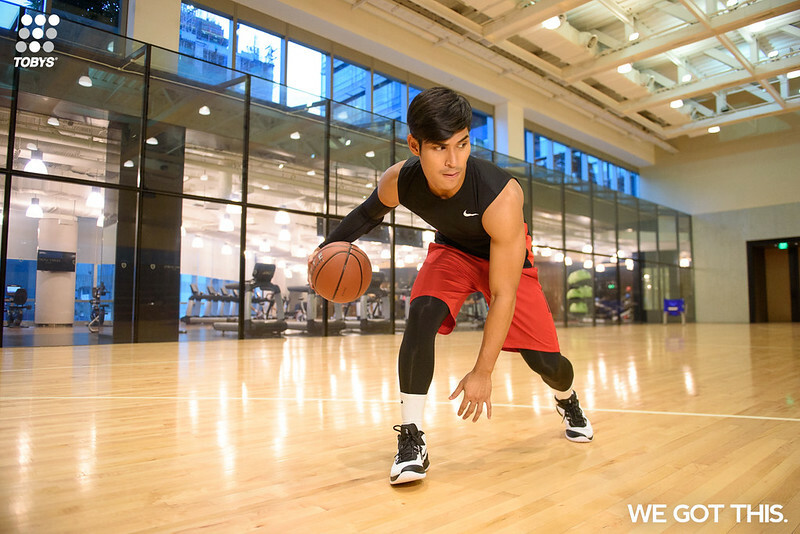 QGC’s retail arm, which operates under Quorum International Inc., has four brands under its belt—Toby’s Sports, a sporting goods store; RUNNR, a running specialty store; Urban Athletics, a cutting edge sneaker and street wear store; and Move, a fitness specialty store. QGC’s distribution arm, Sports Resources Inc., is the exclusive distributor of a wide array of top international sports brands in the Philippines. Toby’s Sports is the leading multi-brand sports retailer in the Philippines, having delivered the best in sports and fitness products to millions of Filipinos for 39 years. Established in 1979, Toby’s Sports is included in the Hall of Fame of Most Outstanding Retailers by the Philippine Retailers Association. Toby’s Sports, which now carries over 100,000 items from 150 trusted brands in various sports, currently operates over 50 stores across the Philippines, as well as an ecommerce store (www.tobys.com). Toby’s Sports is part of the retail arm of Quorum Group of Companies. For more information on Toby’s Sports, follow us in Facebook, Instagram and Twitter. NOTE: Toby’s Sports and the Toby’s Sports logo are service marks of Quorum Group of Companies. Manila X Featuring William Singe and More!